People move for all kinds of reasons. Perhaps you're changing jobs, received a promotion, or your company relocated. Maybe you've recently added a new member to the family and it's time for more room or a backyard. Whether you're moving across the country, or right down the street, use these seven tips for finding houses for rent. They'll help to make your life a little easier. If you have children, you understand exactly how important this is. Use a website like Great Schools or Education Consumers Foundation to educate yourself on the quality of area schools. Does the property back up to a major street with constant traffic or an open space? Does that matter to you? Is there a grocery store within walking distance of your new home? Do you prefer the serenity of an off-the-beaten-path environment? These questions and more should be answered to help you narrow down possible locations. Does proximity to your job make a difference, or do you work from home? Is it easy to access public transportation in the area of the home you'll be renting? Ever heard the phrase "His eyes were bigger than his belly?" Don't fall prey to this temptation when searching for the perfect houses for rent. Before you look at your first listing you should sit down with your partner or potential roommates and have a very serious discussion. The first step toward defining your price point is to complete a thorough home budget analysis. Try a user-friendly home budget calculator like this one from Bankrate. Once completed , you should have a better idea of how much you can comfortably afford. A standard rule of thumb is to allocate 30-percent of your income for rent. An article by Business Insider reveals that approximately 20% of households spend more than half their income on housing -- and still manage to live within their means. 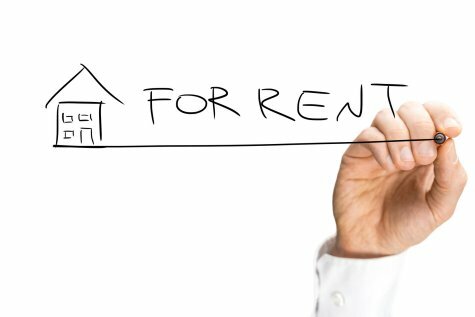 Whether you use RentalAds.com or choose a property management company, there are a few things to consider. A wider variety of selection offers you a better chance of stumbling across the perfect home, one that you might not have originally considered. Leave your options open by choosing an online source that offers a wide variety of rental listings by type and don;t limit your browsing to one website. Shop around and see what's out there. Make this a priority if you're moving to another part of the country. Choose an online source with a nationwide network. Don't waste your time browsing for rentals that aren't even in an area where you want to live. If you have questions about a particular rental property, wouldn't you rather ask the owner or property manager directly? Save time by going straight to the landlord or manager. Choose a site that allows you to contact any property owner without a registration process. It should be very quick and easy to make contact with any owner listed on the website. A good practice is to have a sheet of paper handy when you begin your initial search of houses for rent. Write down things you see in the listings that are must-haves and can-do-withouts. This will save time in the long run. Nobody wants to move into a new home and start fixing things right away. Make sure to evaluate the state of the home before you commit to anything. A remodeled or renovated house shows that the owner takes pride in the property and is willing to help with upkeep. Also, find out what repairs the home owner is willing to pay for, which they might split, and what repairs you'll be required to handle. This should be added to your budget. Finding out the landlord's expectations for parking could make or break the deal, so find out early on. Is there a garage? How many vehicles can park inside? If a car port is on the property, make sure it will offer sufficient protection for your vehicles. What about street parking? Are there days you cannot park on the streets? These are all important questions to ask. Choosing a great place to live also means choosing the person you may have to deal with in the future. The best way to get a feel for your potential landlord is how he or she handles the entire process up until the signing of the lease. After your initial contact did they set-up an appointment right away or did you have to reach out to them several times? This may be indicative of how home repairs are taken care of. Are you treated in a courteous, cooperative, and respectful manner? Have they set a realistic expectation of cleanliness and maintenance standards by having the home move-in ready? Your first meeting with the owner or property manager sheds light on how your renting experience will be handled. If you don't get the right "vibe" don't let the house woo you into a big mistake. We hope our list offers some insight into your search for a new home to rent. There is a lot of thought and preparation that should go into your house search before you begin your online search. Remember: the right house for you is not the right house for everyone. Do your research, ask questions, and don't be afraid to say no. If you have a question about renting or a tip to add to our list, please feel free to contact us.